With two additional Liaoning-type carriers under construction, China’s shipbuilders are rolling out the destroyers that will accompany them in separate battle groups. As early as last year, a new type designated 052D was spotted in Shanghai’s Jiangnan shipyard, which is run by a government-owned corporation. The Type-052D uses the same hull as its predecessor, the Type-052C, to allow for mass-production. 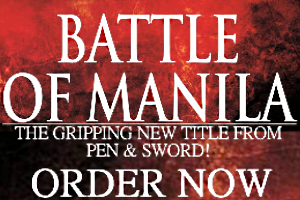 It differs in layout and armament, however. The latter includes a Vertical Launch System (VLS) located behind the brand new 130mm bow gun. The Type-052D’s rectangular VLS, which can fit up to 64 missiles, allows the Type-052D to engage land, air, or sea targets depending on the missile combination it deploys with. It also carries a single close-in weapons system (CIWS), an estimated six torpedo tubes, and an anti-submarine warfare (ASW) helicopter in its stern. The PLAN’s current generation of destroyers begins with the purchase of four Russian Sovremenny’s in the late-90s/early 2000s. Since then, the PLAN have followed a tight schedule designing and building brand new vessels on their own using a common hull, a decision that resulted in the Type-052B, C, and now D classes alternately made in Shanghai and Dalian. The Type-052Ds are now undergoing sea trials. According to the most reliable open source estimates, the PLAN maintains less than 30 destroyers among its three fleets, ranking it as the largest navy in Asia. 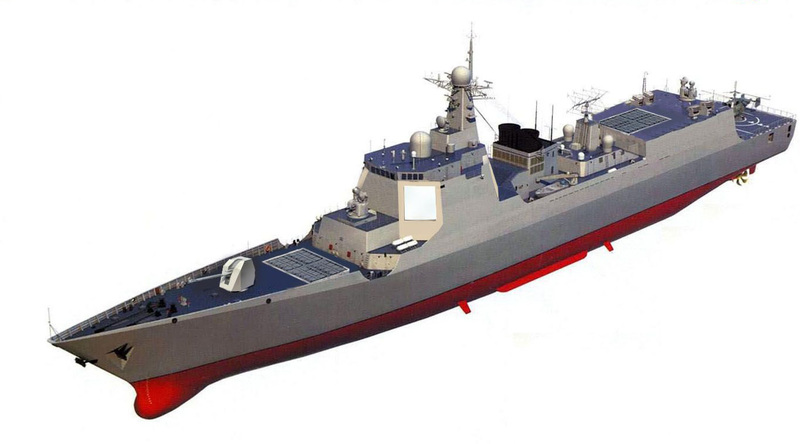 A total of eight Type-052Ds are scheduled to be built. Three have emerged from Shanghai, with five more scheduled for completion within the next few years. China’s third Type 052D guided-missile destroyer was recently launched at Jiangnan Shipyard in Shanghai, reports the Global Times, a publication of the Communist Party of China. 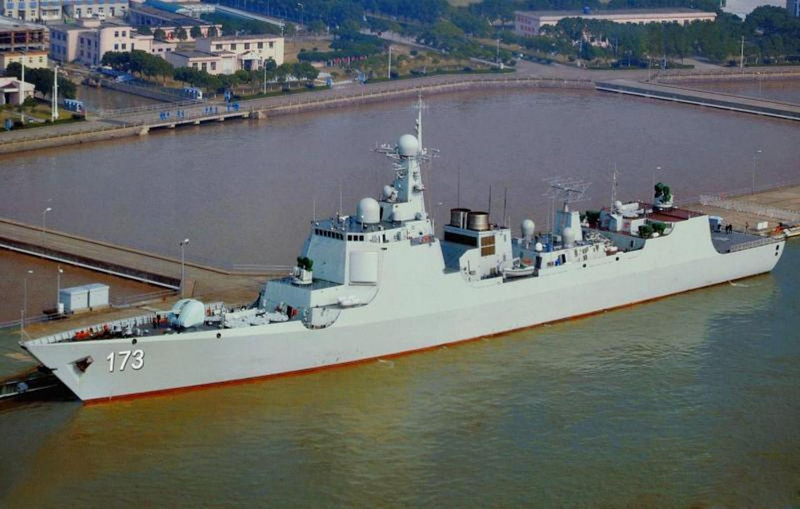 Designed as a surface combat ship with the Chinese equivalent of the Aegis combat system, the Type 052D is equipped with new Active Electronically Scanned Array radar to guide its HQ-9 air defense missiles against targets. Its vertical launching system is capable of launching up to 64 missiles. The destroyers are fitted with a massively improved data linking system, named the Joint Service Integrated Data Link System, considered the equivalent of the Link 16 military tactical data exchange network currently used by the United States. Three Type 052D destroyers have been completed and are named Kunming, Changsha and Guiyang. A total of eight Type 052D destroyers will form the backbone of the PLA Navy’s surface combat force in the future. While six of these ships will have been constructed at the Jiangnan Shipyard, the last two will be built in Dalian in northeastern China’s Liaoning province. A photo of the third vessel, Guiyang, was recently taken by an unnamed internet poster at Jiangnan Shipyard. It will be turned over to the navy to be commissioned after successful sea trials.